April 8 at 11:57 a.m.
April 8 at 11:29 a.m.
Oct. 4, 2010 at 12:48 p.m. The Justice Department sued American Express on Monday for allegedly violating antitrust law over credit card acceptance rules, and settled with Visa and MasterCard on the same issue. 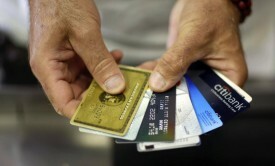 The Justice Department, in a filing with the U.S. District Court for the Eastern District of New York, said the case was focused on credit card companies’ efforts to stop merchants from steering customers to credit cards with lower fees imposed on the merchant. Sep. 20, 2010 at 4:31 p.m. The federal government filed a civil lawsuit Monday against a couple living in Chicago’s Bridgeport neighborhood and their real estate agent, for allegedly refusing to sell their home to an African-American family. The filing, made in U.S. District Court in Chicago, names as defendants Daniel and Adrienne Sabbia; their real estate agent, Jeffrey Lowe; and Midwest Realty Ventures, which does business as Prudential Rubloff Properties. Sep. 13, 2010 at 4:47 p.m.
United and Continental Airlines agreed on Monday to maintain a hub in Cleveland for at least five more years, as Ohio Attorney General Richard Cordray ended his antitrust investigation of the mega-merger. The announcement clears one of the last remaining roadblocks to the tie-up, which will create the world’s largest carrier. The Justice Department, which had been expected to provide the closest scrutiny of the deal, concluded its antitrust probe last month. Sep. 8, 2010 at 4:41 p.m.
A Boeing Co. subsidiary prevailed on Wednesday against a lawsuit alleging it had helped the CIA illegally transport prisoners to secret facilities overseas, a federal appeals court has ruled. Sep. 7, 2010 at 4:55 p.m.
Aug. 27, 2010 at 6:05 p.m. The Justice Department approved the proposed merger of United and Continental airlines Friday, closing an unexpectedly speedy four-month investigation that paves the way for the mega-deal to close by Oct. 1. To win the blessing of federal antitrust regulators, United and Continental agreed to lease slots for 18 round-trip flights to Southwest Airlines at Newark Liberty International Airport, beginning in March 2011. 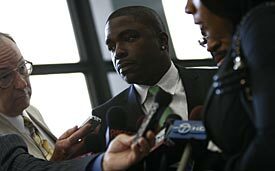 Aug. 26, 2010 at 3:28 p.m.
Willborn race-bias case heads to Justice Dept. The U.S. Justice Department is taking over the case of Chicago radio personality George Willborn, who allegedly was the victim of racial discrimination because of his family’s failed efforts to buy a home in Chicago’s Bridgeport neighborhood. The Department of Housing and Urban Development filed a federal housing discrimination complaint this month against Bridgeport homeowners Daniel and Adrienne Sabbia, Prudential Rubloff Properties and real estate agent Jeffrey Lowe. HUD said they violated the Fair Housing Act when the Sabbias backed out of a verbal agreement to sell the $1.799 million home to the Willborns, who are African-American. July 28, 2010 at 6:16 a.m.
Several U.S. agencies are preparing a criminal probe of at least three companies involved in the massive oil spill in the Gulf of Mexico, though it could take more than a year before any charges are filed, the Washington Post reported Wednesday. July 12, 2010 at 3:10 p.m.
Comcast Corp. and NBC Universal has reached an agreement with the Independent Film & Television Alliance over their proposed merger, which is being reviewed by the Federal Communications Commission and Justice Department. The alliance reversed its opposition to the merger on the grounds it would stifle creativity in exchange for a promise that Comcast and NBC would allocate $6 million over four years to a development fund for independent productions.